Those features and more are now rolling out to everyone in the stable channel, and they include expanded admin controls, group catch-up, and participant search. 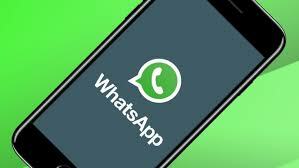 According to WhatsApp in a blog post, the following features are now available for all WhatsApp users as soon as they upgrade their version to the latest. Admin controls: In group settings, there’s now a control that allows admins to restrict who can change the group’s subject, icon, and description. Group catch up: When you’ve been away from a group chat, quickly catch up on messages that mention or reply to you by tapping on a new @ button that appears at the bottom right corner of the chat. Where Can I Upgrade it? One other thing of note is that you can no longer be repeatedly added to a group that you’ve already left. WhatsApp has introduced a safeguard against this, so your annoying friends won’t be able to re-add over and over just to piss you off. Go to Google Playstore to update your WhatsApp to the latest version 2.18.142 or sideload it from Apkmirror here. Let us know what you think about this latest updates rolling out.